Suitable for all dogs. Waterproof protective inner & durable hypoallergenic Oxford fabric. 4” base, high stability premium foam and 2” of premium grade, high density, extremely comfortable, high-care, orthopedic memory foam make The Dog’s Bed extremely comfortable and easy to clean. 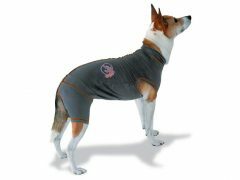 Excellent medical grade orthopedic support for recovering and/or older dogs providing therapeutic comfort for arthritis pain, muscle stiffness, hip dysplasia, arthritis and aching joints, contouring perfectly to your dog for maximum comfort and a sound night’s sleep. 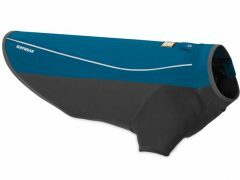 A waterproof removable cover and washable inner padding protects The Dog’s Bed from post-op stains and accidents or incontinent issues. Highly Rated: More than 85% 4 star and 5 star reviews! 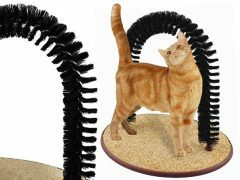 Find best price for The Dog’s Bed and more customer reviews on Amazon. 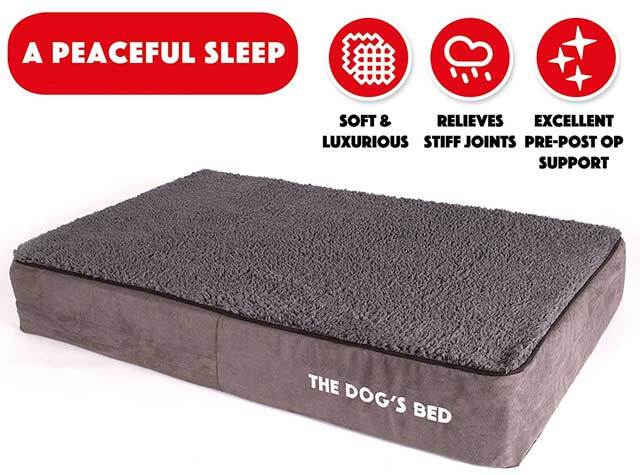 Be the first to review “The Dog’s Bed Orthopedic Pet Bed” Click here to cancel reply.